The State Department announced Friday afternoon North Korea has released an American citizen. 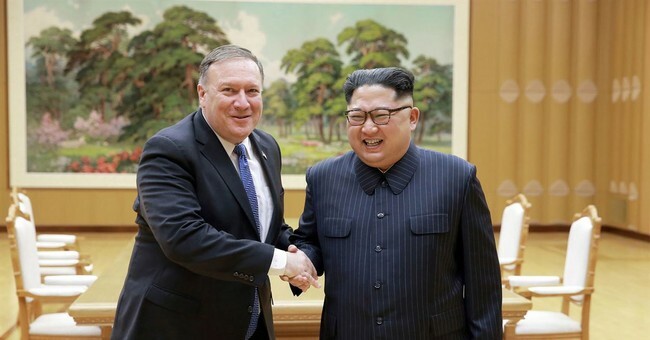 "The United States appreciates the cooperation of the Democratic People’s Republic of Korea and the embassy of Sweden in facilitating the release of an American citizen," Secretary of State Mike Pompeo released in a statement. "The United States is grateful for the sustained support of Sweden, our protecting power in North Korea, for its advocacy on behalf of American citizens. The safety and well-being of Americans remains one of the highest priorities of the Trump Administration." According to NPR, "North Korea's official KCNA news agency identified the American as Bruce Byron Lowrance and said that he had told his captors that he was controlled by the CIA." The release of Byron comes after talks between North Korean officials and Pompeo in New York City were postponed. "Secretary of State Michael R. Pompeo’s meeting with officials from the Democratic People’s Republic of Korea, scheduled for this week in New York, will now take place at a later date," State Department spokesperson Heather Nauert released in a statement last week. "We will reconvene when our respective schedules permit. Ongoing conversations continue to take place. The United States remains focused on fulfilling the commitments agreed to by President Trump and Chairman Kim at the Singapore Summit in June." In the meantime, while negotiations on the denuclearization of the Korean Peninsula continue, the North Korea regime has tested a new "high-tech" weapon. Further, the IAEA says nuclear weapons are still being developed and recent satellite imagery shows at least one nuclear test site has been upgraded.